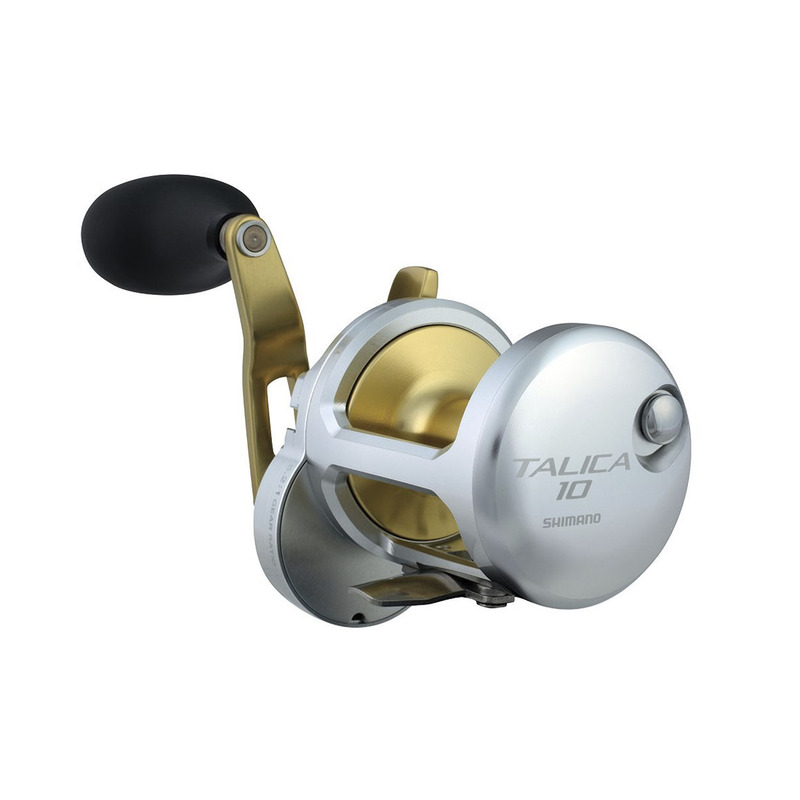 Based upon a narrow body principle which equals less weight, smaller dimensions and easier handling than equivalent lever drag multipliers, Talica is truly a high-speed dream machine. Equipped with a Diecast aluminium frame, Waterproof Drag, Shielded A-RB bearings, brass gears and an aluminium spool, choose from 8, 10, 12 or 16 or the new 20 and 25lb rated twin speed versions. Line capacities range from 200 yards of 20lb to 420 yards of 40lb. A full range of single speed models are also available. This shifting mechanism is designed so that gearing changes are quick and easy, even when fighting a fish. The low gear ratio used for highpower retrieves is selected by pushing the button on the base of the handle. Return to the highspeed ratio by sliding the release button along the handle shank. By using two sets of gears, the drive and pinion gears are always engaged. There is no gear meshing during the shift.